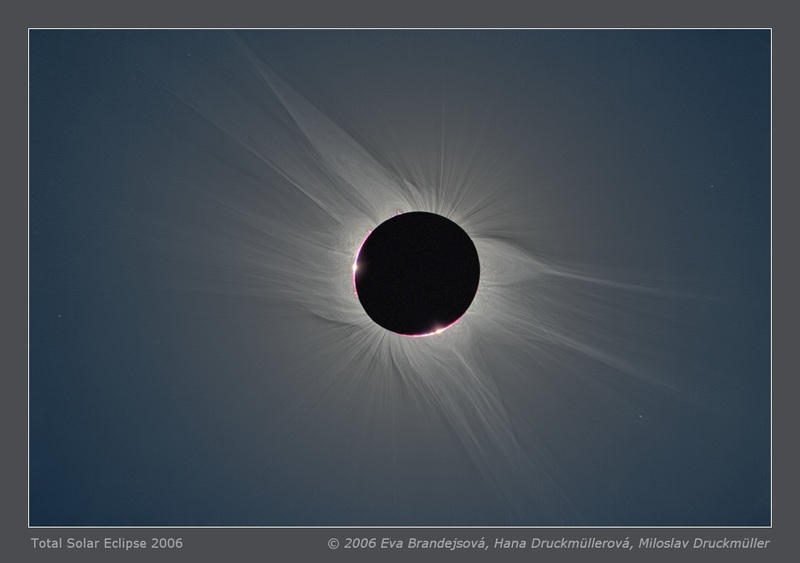 Composing of all images taken from the second to the third contact enables to create an image which shows all of the solar corona progressively visible from the particular observing place. The resulting image was made from 63 digital images taken with Maksutov-Cassegrain MC 3M-5CA, 8/500 mm and one image on a classical film taken with Rubinar (modified Maksutov-Cassegrain) 5.6/500 mm with 2× teleconverter (the 3rd contact image). The upper left part represents the image of the second contact, while the lower right part represents the third contact (see this image). Click on the image or on the following reference to display the higher resolution image version (2.4 MB, PNG format). Processing Composition of 63 images digital images (D) and one image taken on classical film (B). 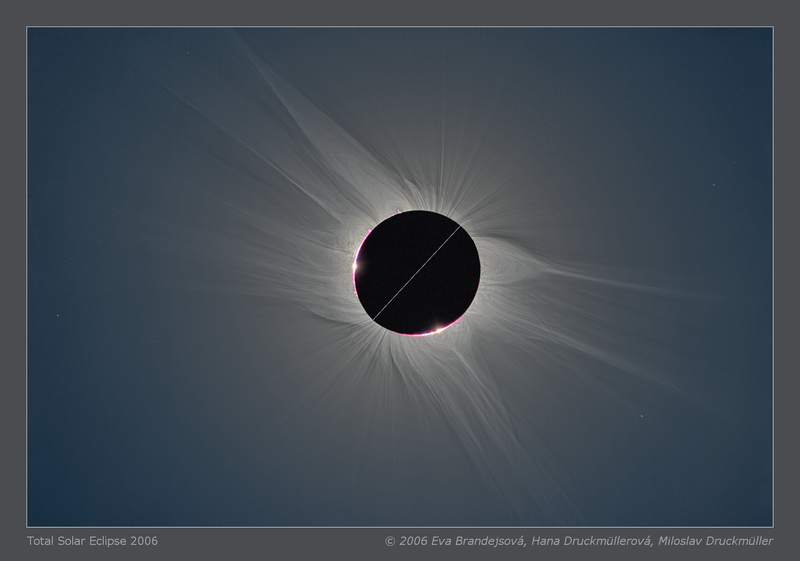 Eclipse images were aligned by means of phase correlation, composed using of LDIC 4.0 software, processed using Corona 4.0 in order to visualize coronal structures. Final processing was done using ACC 6.0 software. Orientation Image must be rotated 28.73° anti-clockwise to achieve standard orientation i. e. North up.